New York, Mar 4 (Just News): The US State Department has reported ‘deprivation of life’ and ‘politically motivated killings’ in Bangladesh, saying the government and its agents committed numerous arbitrary or unlawful killings. Characterising the 2014 elections that brought premier Sheikh Hasina’s Awami League back to power as ‘controversial and falling short of international standard’, it has elucidated that government restriction on freedom of expression and freedom of assembly limited the ability of opposition party members to participate effectively in the democratic process. ‘The constitution provides citizens the ability to choose their government in free and fair periodic elections held by secret ballot and based on universal and equal suffrage, but recent elections were marred by government tampering and violence’, the department observed in the Bangladesh chapter of its ‘Country reports on human rights practices for 2016’. ‘The government further used counterterrorism efforts to justify restrictions of civil and political rights,’ said the US report transmitted by its new secretary of state Rex Tillerson. The US State Department says groups claiming affiliation to Islamic State and al-Qaida were responsible for some high-profile attacks in Bangladesh in 2016. Bangladesh government dismisses such claims as publicity stunts by home-grown Islamist radical groups like Jama'atul Mujahideen Bangladesh JMB, who it holds responsible for such attacks. 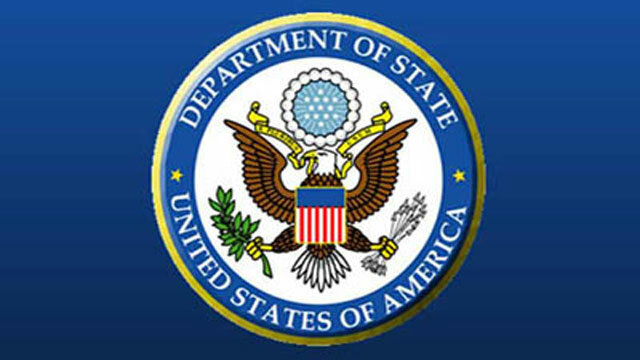 The US State Department says, Extremist organizations claiming affiliation with Da’esh (Islamic State) and al-Qaida in the Indian Subcontinent (AQIS) increased their activities in the country (Bangladesh), executing high-profile attacks on religious minorities; academics; foreigners; human rights activists; lesbian, gay, bisexual, transgender, and intersex (LGBTI) community members; and other groups. The most significant human rights problems were extra judicial killings, arbitrary or unlawful detentions, and forced disappearances by government security forces; the killing of members of marginalised groups and others by groups espousing extremist views; early and forced marriage; gender-based violence, especially against women and children; and poor working conditions and labour rights abuses, it reprted. The report blamed the government for taking, what it describes as 'limited measures' to investigate and prosecute cases of abuse and killing by security forces, including through the Internal Enquiry Cell of the Rapid Action Battalion (RAB). The report makes a very strong indictment of the judiciary in Bangladesh. It listed the most significant human rights problems in the country as extrajudicial killings, arbitrary or unlawful detentions and forced disappearances; the killing of members of marginalised groups and others by groups espousing extremist views; violence against women and children; and poor working conditions and labour rights abuses. The report pointed out that a “culture of fear” had diminished the strength of the civil society, exacerbated by threats from extremists and an increasingly entrenched leading political party. ‘Even civil society members affiliated with the ruling party reported receiving threats of arrest from the security forces for their public criticism of government policies,’ it said. Referring to reports by rights groups and corruption watchdogs, the state department further drew attention to ‘continued public dissatisfaction with the perceived politicisation of the judiciary’. ‘The government subjected the judiciary to political pressure, and cases involving opposition leaders often proceeded in an irregular fashion,’ said the US report. It attributed the violent attacks against religious minority communities to transnational violent extremism as well as to economic and political reasons. Other human rights problems, according to the report, included torture and abuse by security forces; arbitrary arrests; weak judicial capacity and independence, lengthy pre-trial detentions; politically motivated violence; official corruption and restrictions on online speech and the press. The report also pointed to continuous ‘multiple disappearances and kidnappings’, some committed by security services and said the government made limited efforts to prevent or investigate such acts. ‘Authorities sometimes held detainees without a charge sheet, without divulging their whereabouts or circumstances to family or legal counsel, or without acknowledging having arrested them in the first place,’ it said. The report mentioned the matter of sedition charge framed against former prime minister and chairperson of the largest opposition political party - BNP -Khaleda Zia for her public comment on the number of individuals killed during the 1971 war of independence. ‘The government mobilised law enforcement resources to level civil and criminal charges against opposition party leaders, including BNP leader Khaleda Zia and senior vice chairman Tarique Rahman,’ it said. The report observed that the government did not respect the constitutional rights of freedoms of assembly and association for opposition political parties for political reasons. It cited example that the police prevented members of the opposition party, BNP, from holding events in several cases. On arbitrary interference with private correspondence, the report said the police rarely obtained warrants from the courts to monitor private correspondence, and authorities did not punish officers who violated these procedures. It referred to reports that informers are employed to conduct surveillance and report on citizens perceived to be critical of the government. The US report regretted that the government sometimes failed to respect the constitutional rights that provide for freedom of speech and the press.